If I could single-handedly prevent something that is about to disappear from falling into oblivion, it has to be handwritten letters! I’ve been fortunate to get a number of opportunities to write letters. Though they were mostly official/ formal request letters for the banks or leave letters to the Principal in college, I wrote them (no typing!). My lethargy to type and take a print out, in spite of having the resources, might be counted as one of my excuses to hand write. Whatever may be the reason, I’m glad I chose to write over type. Informal letters to loved ones have lost significance anyway, so why not grab the opportunity to write while seeking permissions and authorizations? Technology has taken over every sphere and one such instance gave rise to ‘writing’ being replaced by ‘typing’. The last time I received a handwritten letter was more than a decade ago, when my family and I moved to a different place during my 9th grade of schooling. After relocating, things weren’t great, life wasn’t smooth, though not the worst. I was unsure if I was slowly getting accustomed to the newness the new place had to offer or was feeling lonely deep inside for missing my old life. Could not make many friends in the new place due to language and cultural barriers. So obviously, I either spent most of the time at school feeling the voidness, or at home quarreling with my brother over Pokemon and Tazos! One fine day, as I reached home from school, my mother handed over a letter that I received. Never did I receive a post on my name until then. Hence, my curiosity knew no bounds. The handwriting on the cover made me elated, as I was more than familiar with it! A letter from my dear friend back home, came to my rescue after months of loneliness. How better can it get, when I receive one during Friendship Day week?! I could feel her attempt to communicate through her words on the paper I was reading, through her handwriting that I can never forget after having exchanged notes for years. Her handwriting was always very different from many others I knew. It was crisp with vivid curves and broad, clear alphabets. She was way too generous with spacing between words, thus quickly running out of pages in her notebooks! All these ran in my mind while I was not only admiring her writing, but also reading her letter with a smiley face. As usual, she used up all the paper of the inland letter without utilizing it to its full potential. I could feel her emotions and felt so close to her through her writing. It had her personal essence that I could not find in the new place. The letter and my moment of reading it was priceless and I wished to cherish it for a lifetime! Mobile phones weren’t revolutionary yet. They were a thing of the wealthy and definitely not an obvious need in every household. STD call was the most used way to communicate with people living in other states. We communicated often over phone, but the feeling that came with the letter was beyond everything. I am so glad I had the opportunity to experience that feeling. I was always astonished and amazed at the way my grandmother exchanged letters with her sister until very recently. But now, the mobile bug has not spared them either and they communicate via cell phones. Ever since the popularity of emails and SMS emerged, handwritten letters started losing significance. Now, they are a thing of the past. We live in a world, where proposals are done over Skype and break ups over text messages. I wonder if the current generation kids are even aware of a handwritten letter’s existence! No matter how emotional the text message is, with innumerable emoticons, how detailed the email is, with more than necessary GIFs and images, they can never match the personal connection felt from a handwritten letter! The handwriting of a person connects at a deeper level, as it is a part of their personality that they share on a piece of paper. But a typed text is the same irrespective of the person typing, thus lacking a personal touch. Try to write a letter and send it to your loved one. I’m sure they would cherish it for a lifetime in a world full of texting and typing. And who knows? A dispute over a text might lead to a break up, but an explanation via a handwritten letter might lead to a happily ever after! Yep the last I wrote was some 3 yrs ago..
What a lovely story. I loved buying new boxes of stationery when I was young. Haven’t thought about it in a long time. Thank you for the memory. When I started reading this, I felt myself to be among those millions who have lost touch with the handwritten thing. But then you mentioned the official letters and bang! I became part of that small club who still correspond through written mail. I have to correspond from time to time through letters and that same laziness to type that you mentioned forces me too to hand-write them, instead of the better-sounding typewriting. Wonderfully reflective post my friend. You know it’s 1992 since I last received a written letter and that was after a dearth in them before even then! Mind you, do annotations to Christmas or birthday cards count? Have to say, this was very nostalgic as a reminisce of times gone by. It’s like actually living through a new age order. Before domestic technology (mobiles, computers, Internet) and afterwards. I transition through thinking its a good thing then go back to was I happier before it all? It’s an escapism from life, increases hedonistic behaviour and increases a cost of living that never previously existed. The flip side is, without it I’d never know people in other countries, of varied religion and political view points. On balance that is, perhaps, the best thing to have come out of it all. I mean without it I’d not be here now, writing (I use a stylus pen on an iPad 😁) this message on your blog post. Oddly you reminded me of a part of my book, well, opus magna. One of my protagonists receives a letter from the 1800’s. It arrives on the bar of the pub which is featured in next weeks instalment of my serialisation. In fact said letter and the blue lady that delivered it is mentioned. I am ashamed to admit that I cannot remember when I wrote a handwritten letter. I am also sad that they no longer teach cursive writing in schools. This is a great blog. Thank you. 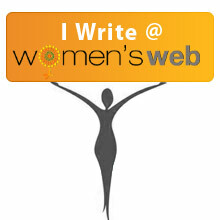 Check out the blogging contest at http://www.funkaar.in/contest.html….ending soon….